After the successful book launch in both New York City and Amsterdam, Marlies launched her new book ‘Unlock Your Potential- a 3-year journal’ in Antwerp on March 21st and in Utrecht on March 22nd. The latest work of the world-renowned designer is a powerful tool to structure the process on self-realization in the most important areas in one’s life. From career to family and friends, from health to sensuality; learn how to tackle targets the way a top performer would. More than 150 guests came out to celebrate in New York and Amsterdam, from business women to influencers, journalists and customers. The dynamic crowd of forward thinking women, including Ruthie Davis, Mal Harrison, Frederique van der Wal, Heleen Mees, Tanja Jess, Antoinette van den Berg and Amanda Rijff truly embraced Marlies’ latest work during the 2 hour interactive workshop. Memorable moments of women empowerment! Take a look at the NYC book launch here and check out our Amsterdam launch here. Marlies Dekkers is a self-made woman who has made it her life’s mission to challenge women to be the masters of their own destiny, and empowers women worldwide to follow their own path in life. Marlies aims to inspire and motivate women of all backgrounds to make the most of their many talents and to shape a future of opportunities. Her motto ‘Dare to dream, dare to grow, dare to be’ consistently lives throughout her brand, that celebrates its 25th anniversary this year. The ‘Unlock Your Potential’ life journal is now available to purchase on our website. 2018 is our 25th anniversary year and we started it off with a huge kick-off party on the 8th of January in Villa Thalia, Rotterdam, the Netherlands. It was an evening filled with 3 amazing shows, the introduction of 2 brand new collections, live performances, and the celebration of the feminine|feminist herself: Marlies. 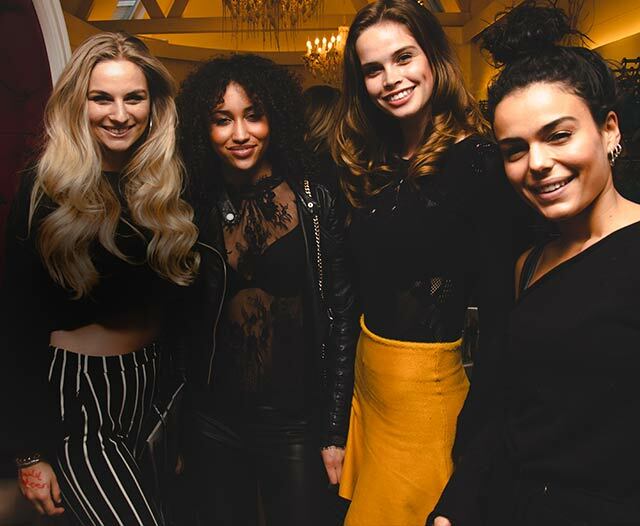 It was everything you could expect from an extravagant marlies|dekkers party, and more... Whether you were lucky enough to be there and want to reminisce, or couldn’t be there but want to be part of the celebration, make sure you check out our Instagram and Facebook for pictures and videos of the event. Marlies Dekkers, Dutch feminine feminist and celebrated lingerie artist, launched her very first collection in 1993. Spanning more than 25 years in time, Marlies’ illustrious career has always been dominated by her ambition to frame the wearer’s beauty and boosting the confidence of many women who adore her distinctive designs. As someone who champions the plight of women around the world, Marlies literally makes it her business to conceptualize and design from a female perspective rather than with the sexual gratification of men in mind. She has won numerous international awards such as ‘ELLE’s Innovator of the Year Award’, ‘Prix Veuve Clicquot Business Woman of the Year’ and the ‘Grand Seigneur Award’. To celebrate our 25th anniversary Marlies will go on a worldwide tour. Want to know where? Find the list of tour dates below, and stay tuned for more information.